Stacion – Center for Contemporary Art Prishtina is pleased to invite you for the presentation by Renauld Proch, Executive Director of Independent Curators International (ICI), New York. Independent Curators International (ICI) connects curators, artists, and institutions to forge international networks and generate new forms of collaboration. Established in 1975 and headquartered in New York, ICI provides exhibitions, events, research fellowships, publications, and curatorial training that are activated through its network, in partnership with art spaces and organizations across the world. In 2013, 10 ICI exhibitions have been presented by 37 venues in 19 countries and 13 U.S. states. 66 curators and artists have contributed to ICI’s talks, public programs, and research initiatives; and 94 curators from over 33 countries and 8 U.S. states have participated in the Curatorial Intensive, ICI’s short-course professional training program. 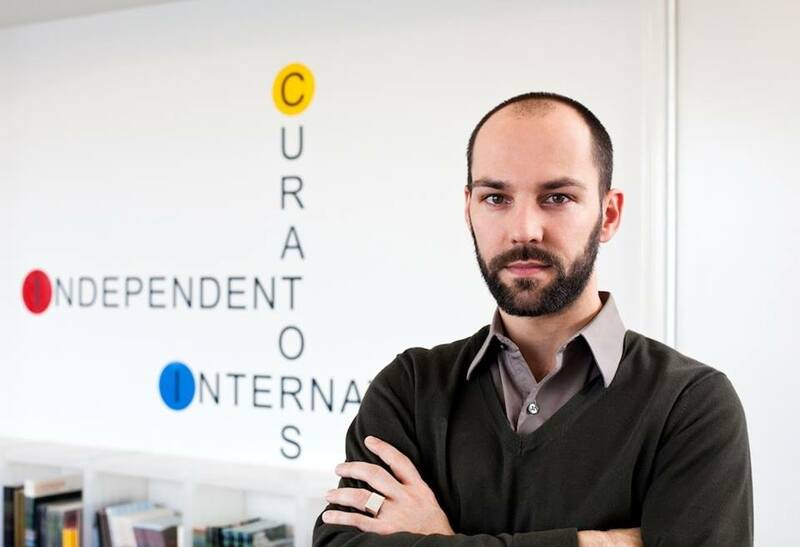 Renaud Proch at Stacion – Center for Contemporary Art Prishtina will discuss ICI's role in fostering dynamic networks and strong platforms for the support of curatorial practice and contemporary art internationally. Renaud Proch is Independent Curators International (ICI)’s Executive Director, and from December 2009 to April 2013, he served as ICI’s Deputy Director. Prior to this he was the Senior Director at the Project in New York, where he worked on developing the careers of a roster of 21 artists, as well as the Director of MC, in Los Angeles, a gallery dedicated to the production and presentation of new solo projects by internationally established artists. Originally from Switzerland, Proch studied in London, and moved to the West Coast of the U.S. in 2001. He co-founded ART2102 of Los Angeles in 2003, a non-profit organization that incorporated gallery-based exhibitions, panel discussions and screenings, and functioned as both a structural support for projects realized on- and off-site and as a place for critical reflection for artists, curators and critics. Together with Kate Fowle and Magali Arriola, Proch co-founded the backroom, a growing archive and itinerant research-oriented project presented in five cities in the U.S., Mexico and France, which provides access to over 60 international artists’ source materials. Most recently, he co-curated a retrospective of South African artist Tracey Rose for the Johannesburg Art Gallery, South Africa, and the Umea Bildmuseet, Sweden. The presentation Renaud Proch at Stacion – Center for Contemporary Art Prishtina is organized in connection with the exhibition DO IT at Stacion – Center for Contemporary Art Prishtina (15.11.2013 -14.12.2013). DO IT is a traveling exhibition conceived and curated by Hans Ulrich Obrist, and organized by Independent Curators International (ICI), New York. The exhibition and the accompanying publication were made possible, in part by grants from the Elizabeth Firestone Graham Foundation, the Robert Sterling Clark Foundation, and with the generous support from Project Perpetual and ICI’s International Forum and Board of Trustees. DO IT at Stacion - Center for Contemporary Art Prishtina is part of ‘Rethinking (Social) Space Program’ supported by Ministry of European Integration of the Republic of Kosovo, Ministry of Foreign Affairs of the Republic of Kosovo, Ministry for Culture, Youth and Sports of the Republic of Kosovo, KOHA Group, Independent Curators International, New York and DZG.